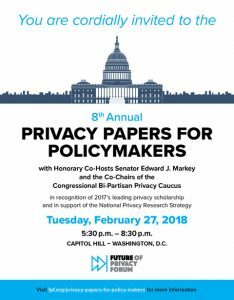 A print copy of the Privacy Papers for Policymakers publication will be distributed at the event, but you can also review summaries of the papers in advance. The program will conclude with a reception. This event is free, open to the general public, and widely attended. Please register ASAP as space is limited.